If you are into the stage of pregnancy, then you would be confused about a number of foods. And one of them would be apple cider vinegar. Are you wondering if ACV is good for you during pregnancy? Are you hesitant to consume it because you are worried if it would have an effect on you and most importantly, your baby? If yes, then you should immediately read this post and get everything clear. 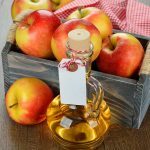 So, is it safe to take apple cider vinegar during pregnancy? Read to know! 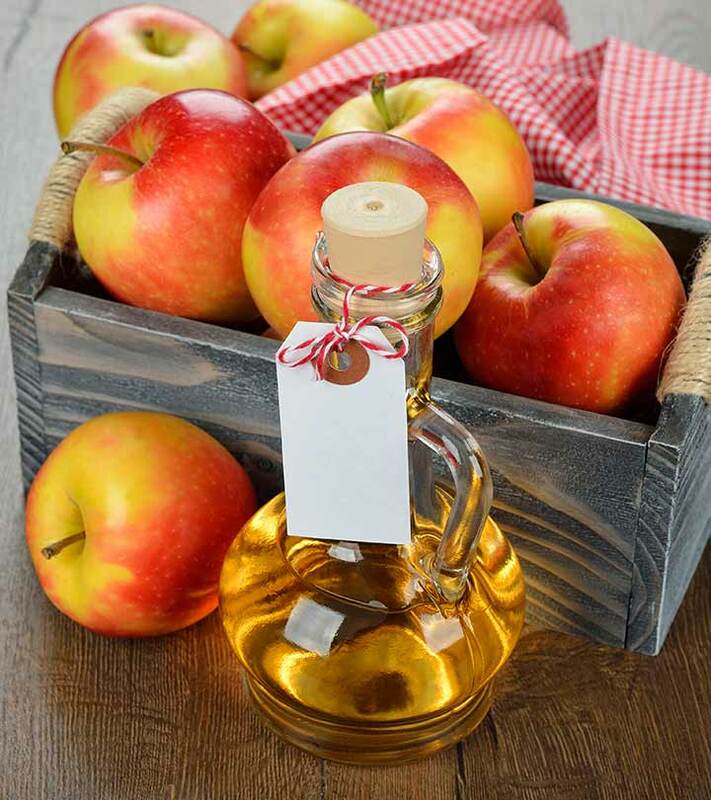 Apple cider vinegar has played a major role since ancient days in maintaining the health of people.It has been used for so many years to treat skin diseases and osteoarthritis.Moreover, because of its multiple benefits, it is recommended for pregnant women and it is advised that during pregnancy a woman should consume apple cider vinegar on a daily basis for having a healthy baby. Apple cider vinegar is obtained by crushing apples and then fermenting them. The alcohol obtained in this process turns into acetic acid. After aeration, this product is ready for sale. In many cases, the final product is pasteurized. Pasteurization removes the harmful bacteria like E. Cole (1). It is better to consume pasteurized vinegar in pregnancy for safety purposes, though unpasteurized vinegar is also available for sale in markets. The harmful bacteria present in unpasteurized vinegar can cause side effects to the mother and child. Food-borne ailments can sometimes lead to serious health hazards to the mother like childbirth complications or miscarriages. The baby can experience serious health problems after birth as well. It can sometimes lower the impact of prescribed medicines. Hence, it is better to discuss with your doctor prior to consuming unpasteurized apple cider vinegar. Apple cider vinegar offers several benefits if consumed during pregnancy. Following are some of those! It gives you relief from morning sickness that usually every woman has to face in her first trimester. It serves as a good beverage, especially during the craving period as it helps in neutralizing the glucose levels in the blood. Urinary Tract Infection is very common during pregnancy. Apple cider vinegar is packed with enzymes and many useful minerals that restrict the growth of bacteria causing UTI. Health experts advise taking two tablespoons of apple cider vinegar in a glass of water twice a day for treating UTI. Women often feel heartburn during the 1st or the 2nd trimester. This is because the growing baby exerts pressure on the digestive tract of the mother. Apple cider vinegar neutralizes the acidic food providing a soothing relief. One tablespoon of it mixed in a cup of water, if consumed at the time of heartburn, can make you feel comfortable. Sinus or blocked nostrils are again common during pregnancy, which can hamper the sleep of pregnant women. One teaspoon of apple cider vinegar when mixed in a warm glass of water makes an effective medicine for sinus. It is used to treat acne or other skin problems often caused by hormonal changes during pregnancy. During pregnancy, hands and feet get swollen most of the times. If you rub apple cider vinegar on them, it can reduce the swelling. Pregnant women often face problems related to varicose veins. ACV makes the circulation easy and reduces the swelling of the veins. Mix it with your regular prescribed lotion and apply regularly to improve the condition. Apple cider vinegar should be used only after consulting the caregiver, especially if you are allergic to beverages and drinks. Do you know of any other ways apple cider vinegar can benefit pregnant women? Share with us in the comments section!